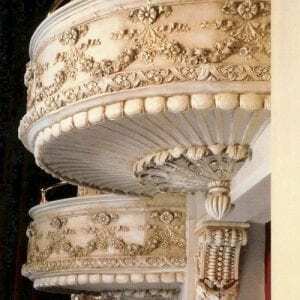 Restoring Historic Theaters in the 21st Century | John Canning & Co.
Every year the Association of Preservation Technology, Northeast Chapter (APTNE) gets together for a day filled with interesting lectures and conversation, this year was no exception. 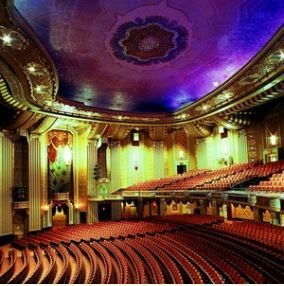 The topic this year, Restoring Historic Theaters in the 21st Century, brought hope and understanding to the process and planning many of these incredible buildings undergo in order to remain part of our downtown. Ms. Judith Saltzman, the keynote speaker, started off the day with an incredible presentation walking through the efforts she has made and the success she has earned in protecting these historic buildings. She is a founding principal of Li/Saltzman Architects with more than 30 years of experience and dedication to the preservation world. 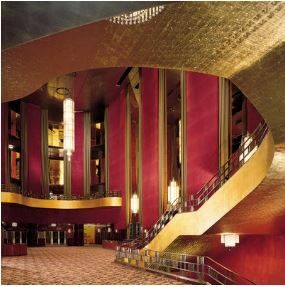 The dignity of landmark concert halls, the elegance of historic theaters, and the full-blown fantasies of 1920s-40s movie theaters are the architectural embodiment of our entertainment history – both classical and popular cultures. The dark ages of wrecking balls and demolition teams are not so far in our review, the fight to preserve these historic buildings is ongoing and it is a honor to be a part of this movement. Connect with colleagues in the preservation world. 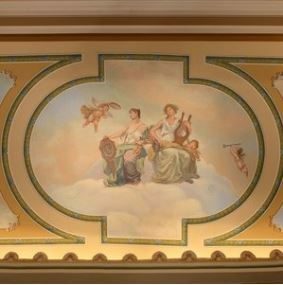 APTNE give us the opportunity to re-connect with our colleagues, architects, and consultants in the field of preservation. Through regional and local events, projects and challenges are shared and, supporting APTs mission, we are able to advance appropriate traditional and new technologies to care for, protect, and promote the longevity of the built environment and to cultivate the exchange of knowledge throughout the community. Originally founded as the APT New York Chapter in the mid-1980s, the organization was restructured in 2003 as the APT Northeast Chapter encompassing New England, New York State, and northern New Jersey. At present we have approximately over 110 members. As a chapter, we conduct workshops, co-sponsor events with local and statewide preservation organizations, and sponsor symposia including our annual meeting. We support preservation students by offering scholarships and outreach for student chapters. Thanks to everyone involved in planning the symposia and the presenters including: HMR Architects, PVN, Mills+Schnoering Architects, Past Forward Architecture, EHT Traceries, PBDW Architects, Park Avenue Armory, Silman, ICR-ICC, Iconoplast and Ayon Studio. We are already looking forward to next year’s annual meeting!